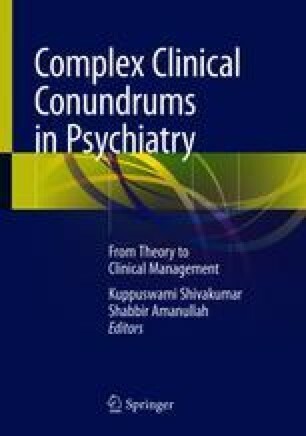 Within a psychiatric setting, dysfunction of an individual may result from a primary psychiatric illness such as psychosis, depression, anxiety, or substance use, but a thorough assessment of a potential personality disorder is equally important. While antisocial personality disorder (ASPD) is more common in a correctional or forensic setting, identifying individuals with ASPD is crucial for ensuring optimal treatment and management. The following chapter will review diagnostic criteria and epidemiology, along with common comorbidities and etiologies. A discussion of the natural course of ASPD and its prognosis ensues. As with any psychiatric illness, a thorough biopsychosocial, multidimensional approach to the management and treatment of individuals with ASPD is key and has proven to yield results. This includes both psychological and pharmacological treatments, guided by evidence-based practices that target both comorbidities and associated symptoms of ASPD. In addition to this, given the elevated risk for aggression and suicide, the following chapter will also provide a cursory review of risk assessment and risk management. Finally, consideration to consultation of colleagues, as needed, is reviewed in the context of legal implications. APA. 2013b. Personality disorders. Retrieved from http://www.dsm5.org/Documents/Personality%20Disorders%20Fact%20Sheet.pdf.